Once we embrace that we are spiritual beings having a physical experience, our world begins to morph and the materialistic priorities of our experience, with which we are bombarded since birth, begin to fade away. Our intuition reveals itself in very subtle ways that leave us wondering if it was just 'a coincidence'. Our intuition is related to our energy and the energy around us, that we are interpreting unconsciously at first and then, as we begin to listen to our intuition, it often becomes a conscious processing of the energy. Yes, it is a natural ability, but we are often not encouraged to explore, to learn or to enhance our intuition in our lives. We are bombarded in our world with the material aspects of this experience, including the ‘abuse’ of our physical senses. Think of television commercials and how they not only use sight and hearing, but try to convince us how soft, smooth, sweet, or even nice smelling, different products are. We focus on these physical senses and even become trapped. First, we have to master those senses and move beyond them. I have written a piece about moving past our physical senses and tapping into our intuition, which can be found here. Here is a short video from the HeartMath Institute that explains a bit more about intuition, our own energy, and how we affect others, including the planet, with our own energy. As we begin moving from solely relying on our physical senses and begin to ‘listen’ to our intuition, then another shift begins to happen within us and our senses. We begin to reconnect to our ability to feel the energy within ourselves. Many of us already experience the energy shifts but pay little attention or do not understand the significance of that movement or shift. With this re-connection we also become aware of the energies around us, whether they are coming from other people, animals, plants, minerals or from 'manmade’ forms of electromagnetic pollution via cell towers, cell phones, smart meters, wi-fi, etc. There are also other types of outside energies that can affect us, which I shall discuss at a later time. At this time, I would like to focus upon the awareness of the energy within us and how this impacts us emotionally, mentally, physically and spiritually. We have 7 main chakras that support our physical, emotional, mental and spiritual life. 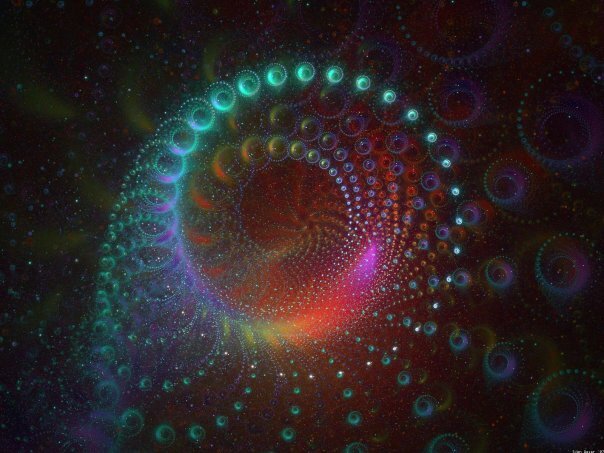 These chakras are within our subtle energy system (pictured above), often known as our aura, which is connected to and surrounds our physical body. You can see in the picture below how our chakras are aligned with different glands within our physical body. Our energy centers are record keepers of everything that has happened to us, including thoughts, memories, actions and feelings. The energy centers (chakras) are connected to our subtle energy system, which in turn affects our health physically, emotionally, mentally and spiritually. Energy centers can become blocked or congested, which in turn decreases the ability of life energy to flow. Most often I have noticed fear, anger, guilt, sadness, insecurities and frustrations causing significant blockages. When the life energy is not able to flow to certain areas we are affected in the subtle bodies and the blockage can eventually manifest itself as dis-ease within the physical body. On the other hand, our experiences and our reactions to those experiences can also over-stimulate our chakras. One perspective is that we need to process our thoughts, memories and feelings (often tied to action) as a way to ensure a balanced flow of energy through our centers, providing a healthy situation for us in all areas. We all have the ability to heal/balance ourselves by allowing life energy to flow through us via our energy centers. So, the next step is becoming aware of our energy – the flow, excessive energy areas, congestion and blockages. Once those areas are recognized, then we can begin to do the work required to allow the flow of energy in a way that leads us to a balanced and free moving energy flow. Becoming aware of our energy will often require a combination of our imagination and intuition; this is why I wrote about our intuition, and tapping into it. Some aware people may already be able to sense the energy within themselves as well, but I am going to write about some techniques that may help those who are not yet aware of the energy within them. It is important that we always remain grounded, but especially while working with or exploring energy. Being grounded is a way for us to release unneeded energy. I also recommend that the cleaner your diet is, and the fewer the ‘toxins’ within your system, then the easier it is to feel the energy. So, let us imagine we can sense our energy and intuitively begin to feel for it. Intention is always the best place to start. Set your intention to become more aware of your energy. When we set our intention, then it is a form of communication to our ‘whole self’ that we are consciously choosing to learn or become aware. It sounds so simple, but it is an effective way to begin the creative and awareness aspect of our experience. Meditation is a fantastic way to begin becoming aware of our energy within us, although this may not work for everyone. Meditation has many benefits, but in this case we want to become more aware of our energy within our physical body. The best place to practice meditation would be in nature. At the very least, we want to reduce the electromagnetic smog which comes from wi-fi, transformers, cell towers, electronic devices, smart meters etc. During meditation, notice any tingling or ‘electric feeling’ moving through you. Do not focus on it, but make note of it. Let the energy flow and do not try to control it. When in a meditative state, we are finding our balance and our energy is doing the same. A very easy practice is to rub your hands together in a circular motion for a little while, pull them apart to about chest width and intuitively feel for the energy ‘ball’ between your hands. Some people have to rub their hands a few times before feeling the energy. We actually have minor chakras on our hands and rubbing our hands can help activate those chakras. This is also one way some energy workers, like Reiki practitioners, sense energy. Once you have rubbed your hands together, pulled them apart and felt the energy, begin slowly pushing your hands together. Some benefit from a slight bouncing of the hands towards one another. Once you are more confident in feeling the energy, then begin rotating your hands around like you have a ball between your hands. Begin bringing your hands closer together and smoothing the ball into a smaller and smaller ball. Once you have a small ball (say, your hands are cupped over one another), then turn your hands towards your solar plexus (between your lower ribs), and slowly bring your hands in until they touch your body. Practice this daily until you are able to feel a slight surge of energy in your solar plexus. Another great way to become oriented to energy and sensing energy within our bodies is by practicing Qigong or Tai Chi. These two practices sometimes vary greatly and sometimes are blended together. They are mind and body exercises that often focus on breathing, meditation and movement. Breathing is an important aspect of our health that is not emphasized enough. Even sitting up straight and taking deep breaths can increase our physical health and get our energy moving. Meditation was already addressed earlier in relation to ‘sensing our energy’ and has many healthy aspects for us physically, emotionally, mentally and spiritually. The movement of energy is important to our health as well, so this makes Qigong a wonderful way to incorporate all three. Our energy not only affects us but also those around us. Of course, there is our physical, emotional, mental and spiritual health to consider when we discuss our energy. There is also the fact that we share our energy constantly, whether it is two people’s auras passing each other or we are directing and contributing our energy. Our energy is much more than the physical aspect of action, we also share our energy with our emotions and our thoughts. We are manipulating the energy through ourselves like a filter to the collective energetic state, and sometimes we are not aware of how we are manipulating it as we are being manipulated. Considering we are bombarded constantly with ideas of terror, scarcity, hate and much more through the control system, we need to be aware of how our energy comes through our filter and ensure it is not tainted from its natural state of who we are. For us to be aware of our own energy, to heal our fears, insecurities, and the like. We are affecting the whole. It is our responsibility. Besides, we are spiritual beings, so what is there to fear or be insecure about? We are powerful and eternal. Start there and the rest can be as simple as forgiveness and unconditional love. So much love to all!! !